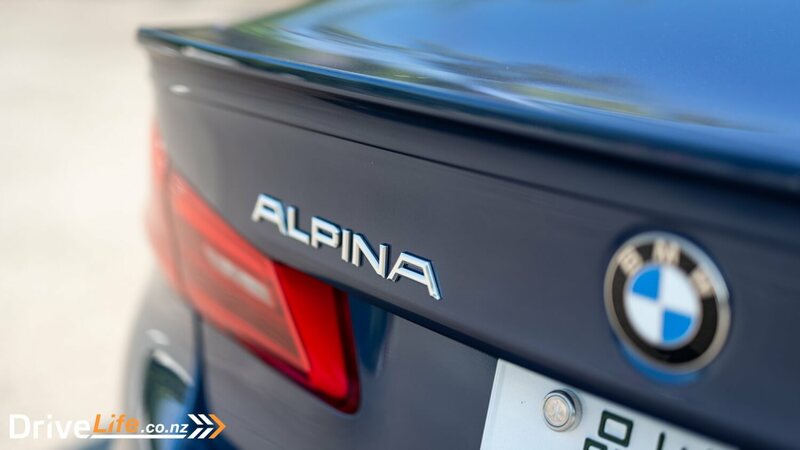 If there’s one brand I don’t mind talking about over and over again, it’s Alpina. 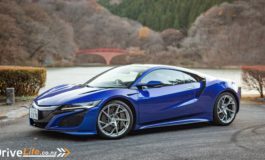 I love what they stand for combing supercar-baiting performance, exclusivity, and true usable comfort all wrapped up in a BMW body. 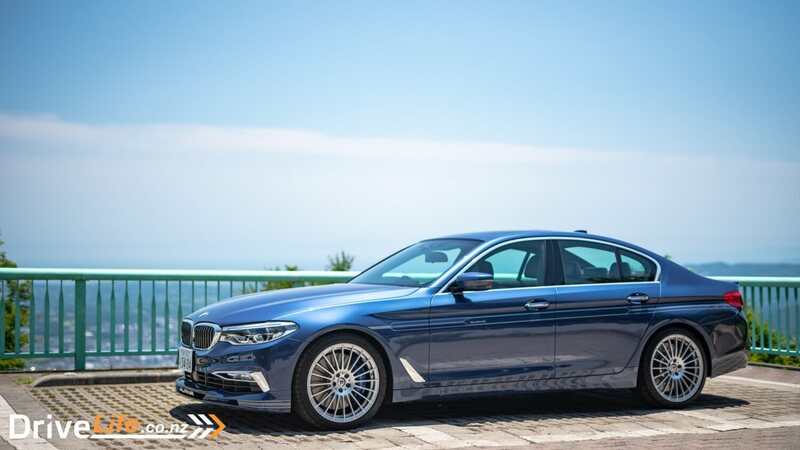 So far I’ve tried out the 3-Series based D3 sedan, the 4-Series based B4 coupe, and now I’ve got my hands on a B5 Bi-Turbo based on the current 5-Series. 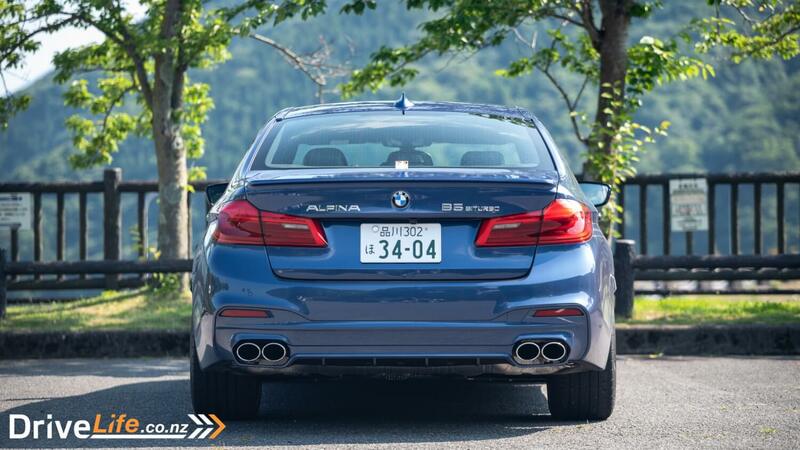 I only had the B5 for a shorter period than I had the D3 and B4 so this won’t be a full review like the other two but from the short time I had with the B5 it left a big impression on me and is what I believe to be the pick of the bunch in terms of encapsulating what Alpina is all about. 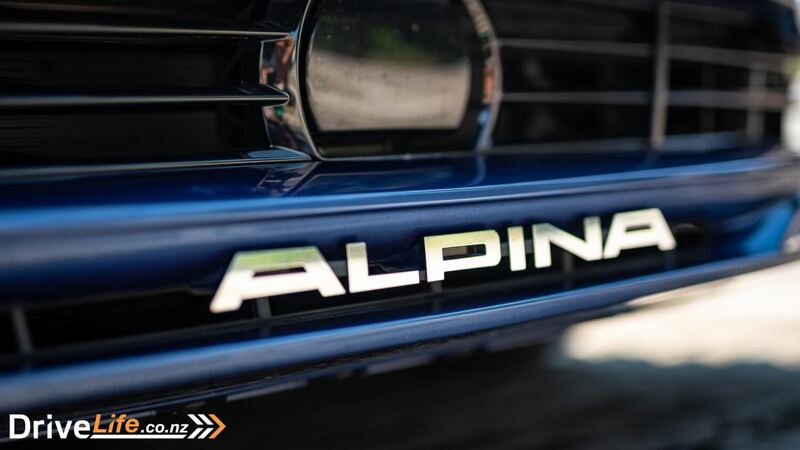 As I’ve said before, Alpina only take the highest spec version of each model lineup before working their magic. 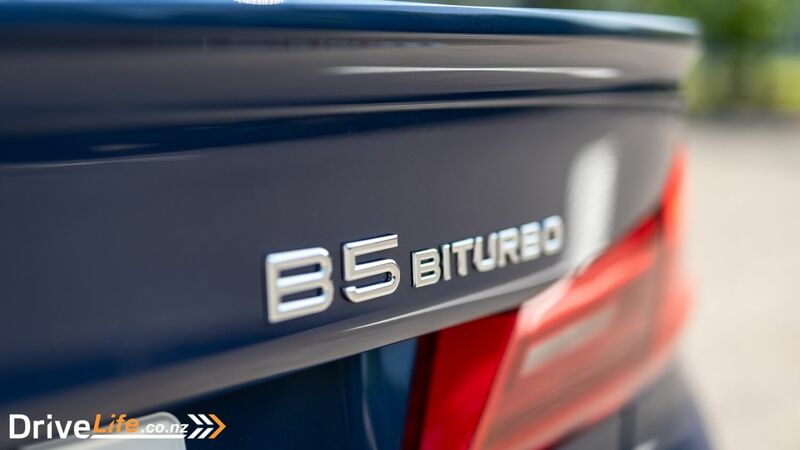 In this case, the B5 started off in life as a G30-generation M550i but tweaked and fettled to become a B5. 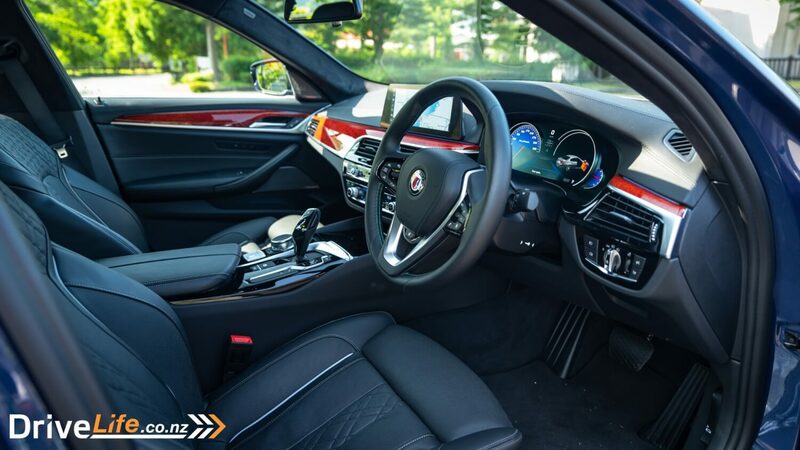 Upgrades include more power, retuned gearbox and suspension, a revamped exhaust system, and a more plush interior. 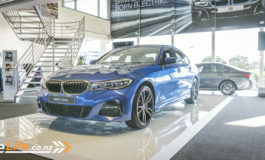 Power still comes from a twin-turbo 4.4-litre V8 but whereas the ‘base’ M550i has 456hp, the B5 is pumping out a whopping 600hp and 800NM of torque. For reference BMW M’s take on a fast 5-Series, the M5, only has 677NM of torque. That’s all you need to know about the B5. This isn’t about all-out power and lap times. 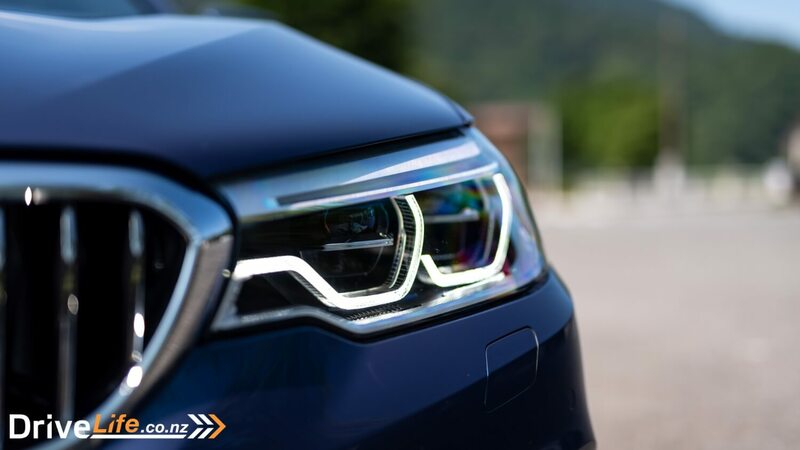 It’s about effortless performance. 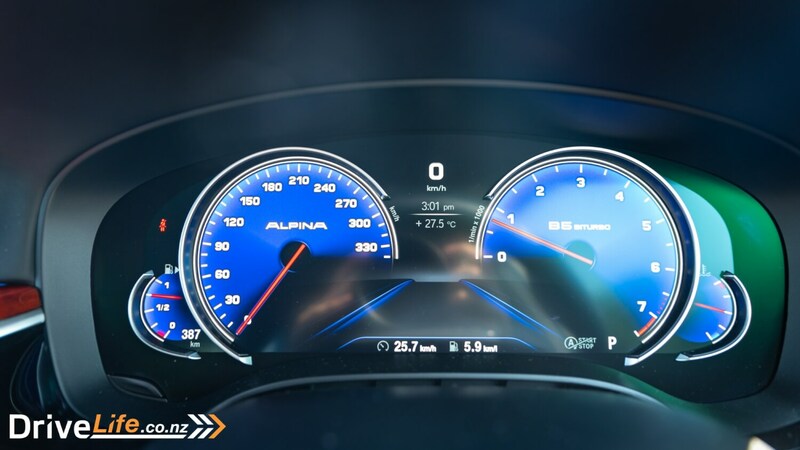 This car is all about going fast without raising your heartbeat too much. That said, it’s still a proper weapon. 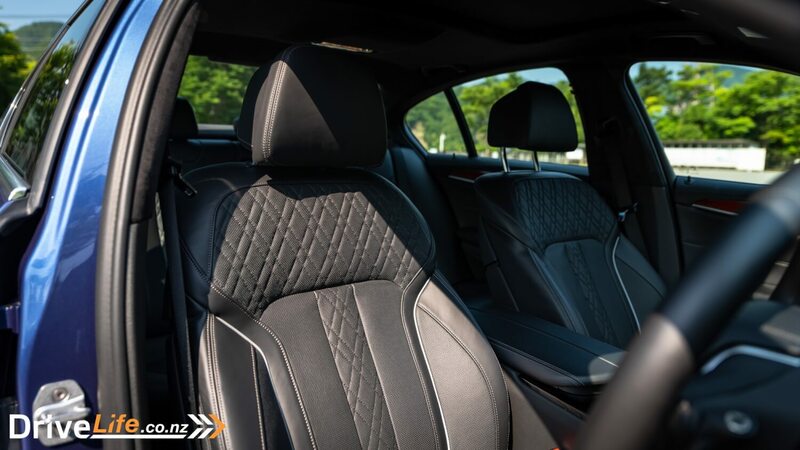 A ballistic missile with quilted leather, if you will. 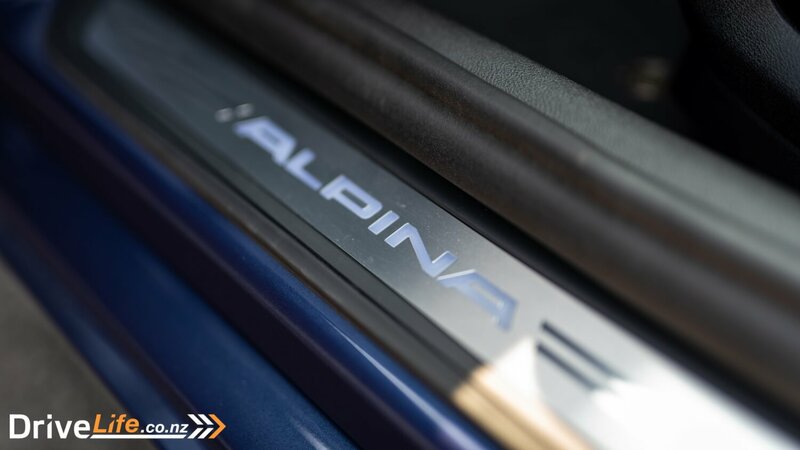 It doesn’t matter how much sound deadening and refinement Alpina put into this, with 600hp and 800NM of torque at your disposal it’s still going to put a smile on your face. 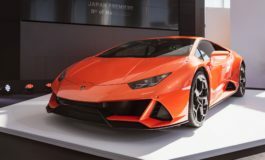 In a straight line this thing will keep up with the fastest supercars. Around corners it’s not quite as sharp as a M5. 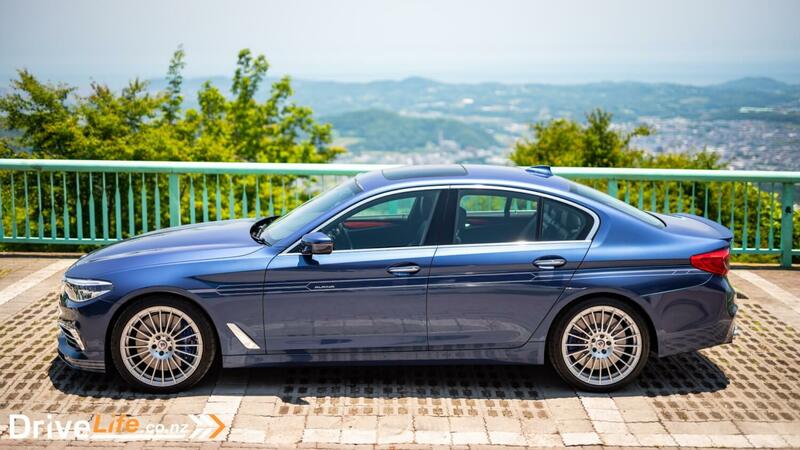 But if you want a sports sedan you wouldn’t be looking at an Alpina anyway. These are for a very different sort of clientele to M, AMG, and RS customers. That said, the rear-biased four-wheel drive system feels planted around corners. Put your foot down around a corner it’ll just exit out without causing a fuss. It’ll only send power to all four wheels when needed. 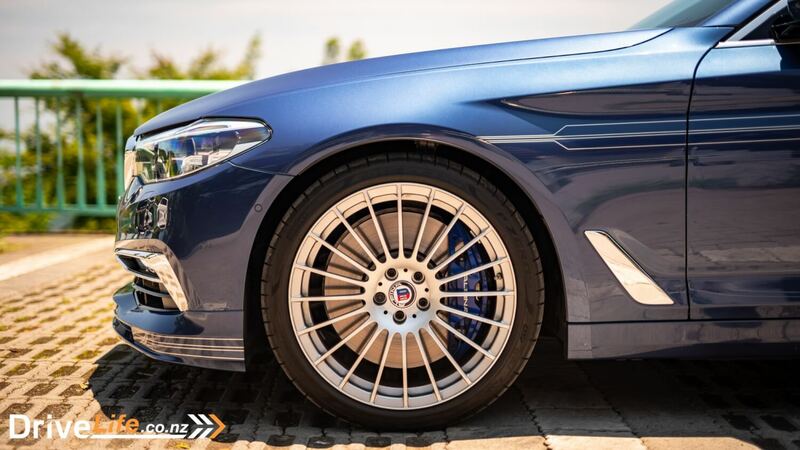 Alpina revised the front suspension and added more negative camber to reduce understeer. Because understeer is bad. It’s the little things that make all the difference. The eight-speed ZF auto gearbox is about as seamless as I’ve experienced in a normal automatic, but with quick shifts in manual mode. 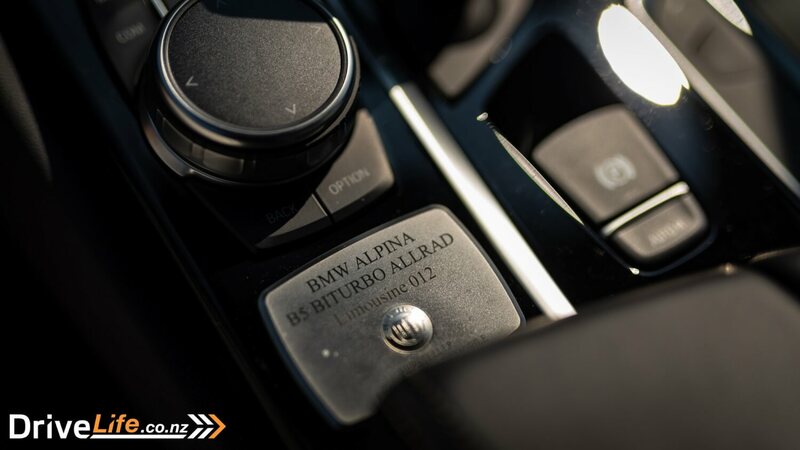 Like all other modern Alpina cars there’s no silly large paddle shifters behind the steering wheel. 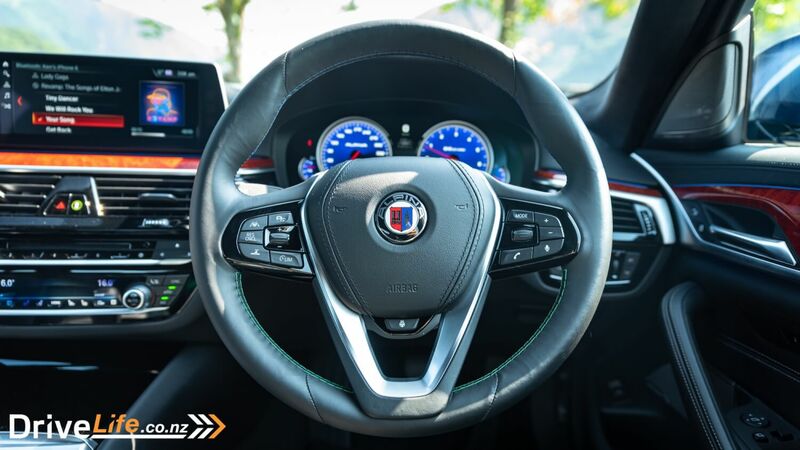 Instead, there’s discreet buttons behind the steering wheel for you to use should you need to. 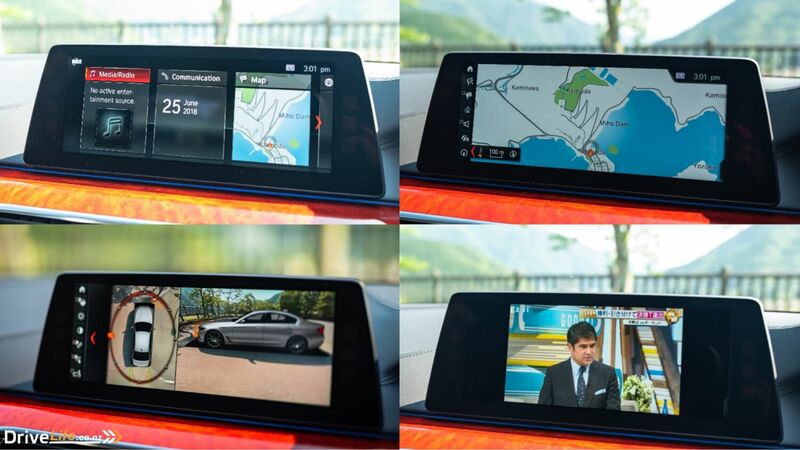 This is where the B5 really excels. Cruising at 100 km/h on the motorway felt like I was only using 1% of the car’s potential. This thing was designed to conquer Autobahns day in and day out so anything less is a piece of cake for it. 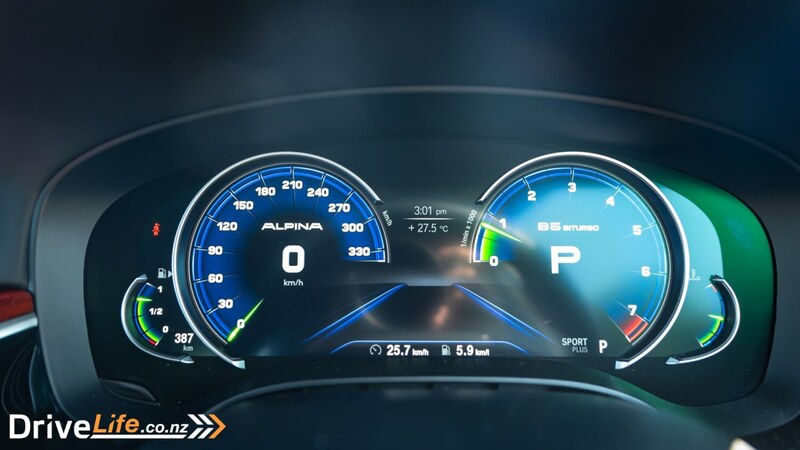 Alpina’s tuning of the suspension has resulted in the perfect long distance cruiser. 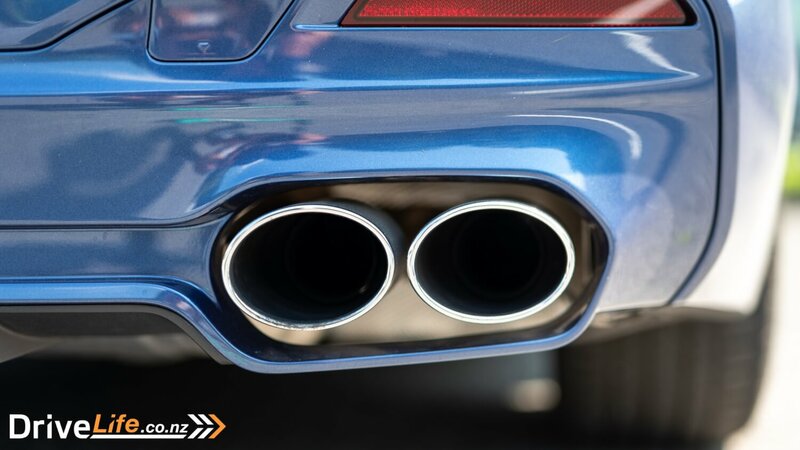 It brushes out the harshness of bumps better than any other performance-orientated German sedan. 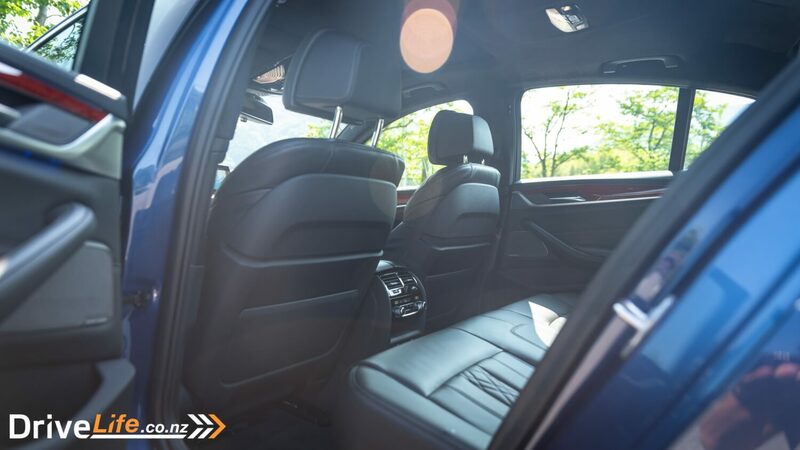 AMG, RS, and M can only dream of having ride comfort like this. You could take this on the harshest Kiwi-roads it’ll still be able to perform without any issues. Even in Sport mode it’s never too harsh or firm. 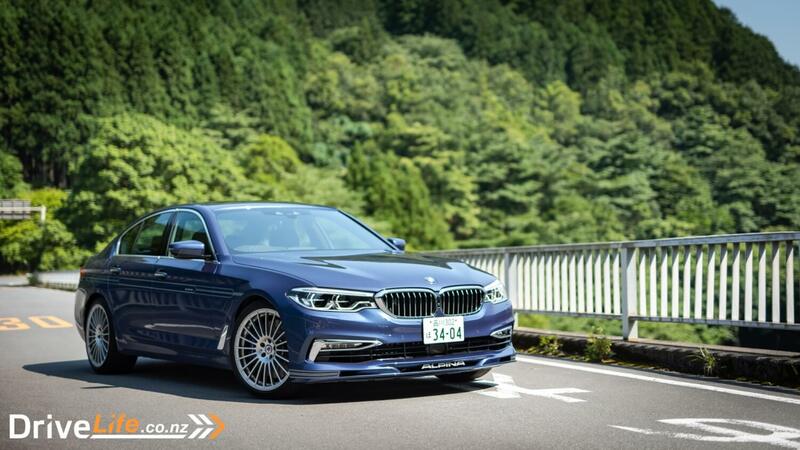 Alpina is proof you don’t need to have super hard suspension in a performance car and I don’t know if it’s because I’m getting older but I’d trade a bit of cornering precision for some proper comfort. 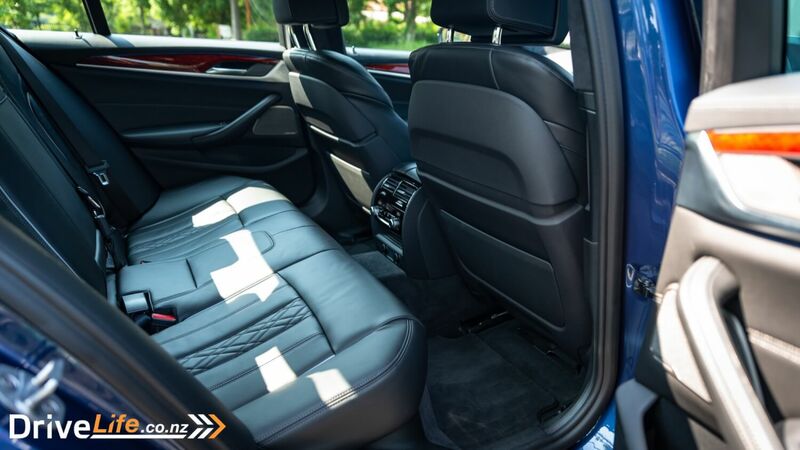 Around town, in Comfort or Eco Pro modes, it’s just like driving a normal 5-Series. 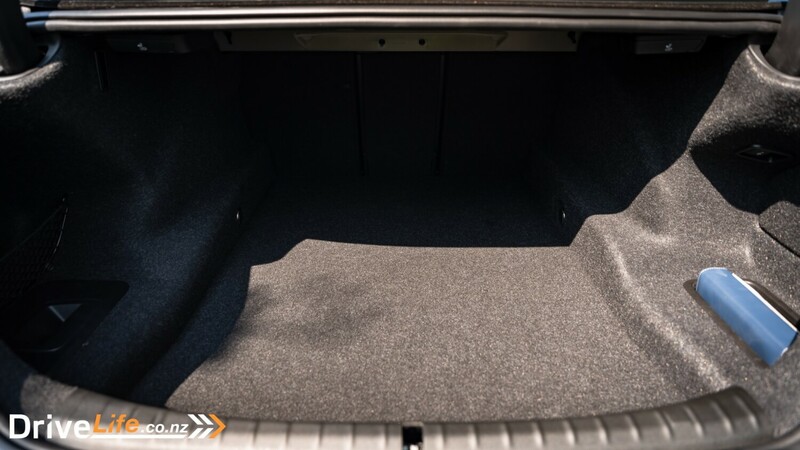 There’s enough space for four adults and the visibility is decent. 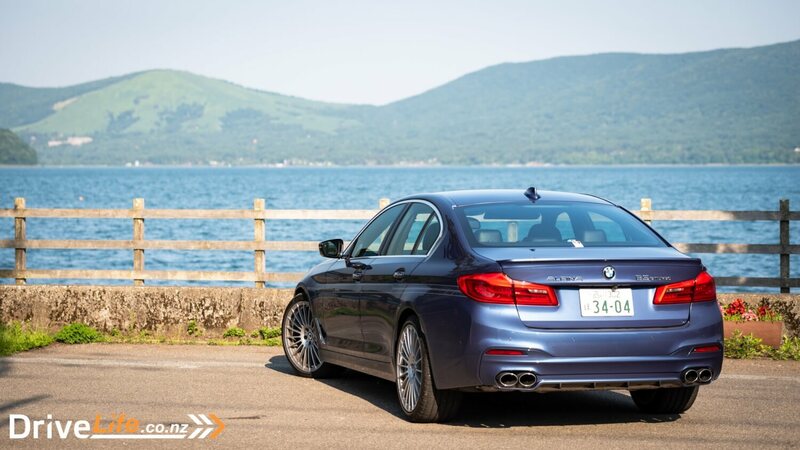 As it started out life as the top-spec 5-Series this side of a M5 it comes with all the bells and whistles you’d expect. 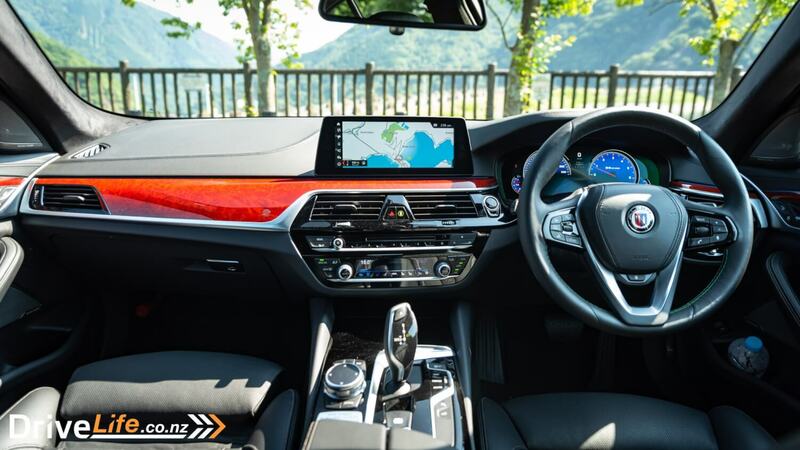 Heads-up display, sat-nav, BMW’s awesome 360-degree camera system, heated and cooled electric leather seats, bluetooth, and of course all the modern driver aid’s you’d ever need are at your disposal. It’s a bit thirsty, I was averaging about 12L/100km on mixed driving conditions. It’s not too bad for a 600hp twin-turbo V8 but if you want real frugality there’s also a bi-turbo 3.0-litre turbo diesel on offer in the D5 S. That has 240 kW and 714NM of torque and will return 6L/100km. It depends what you want. The M5 is a sharper driver, it’s more aggressive and will probably fare better on a track day. 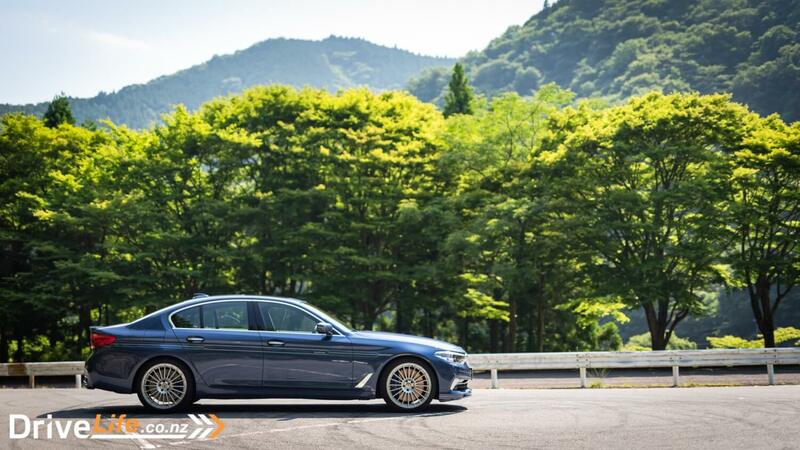 The B5 is a lot more exclusive and rare, around 100 G30 B5s will be made. It’s also a lot less in your face and a more relaxing drive. It’s a better daily for sure. 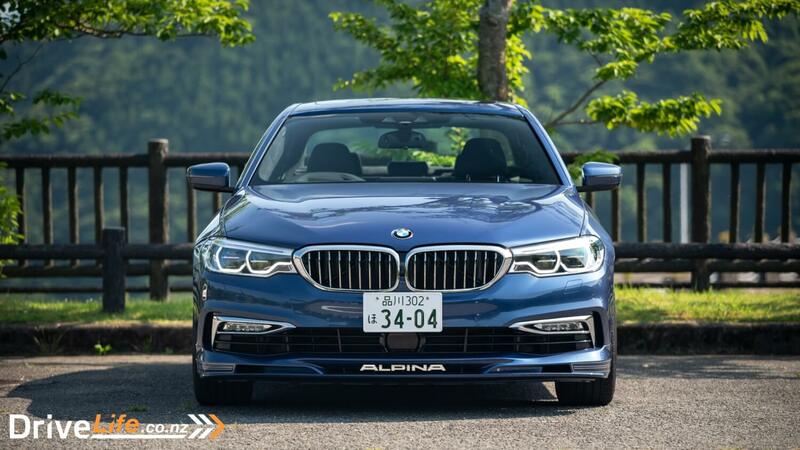 In Japan, Alpina customers like the subtly and discretion that comes with driving around in an Alpina. 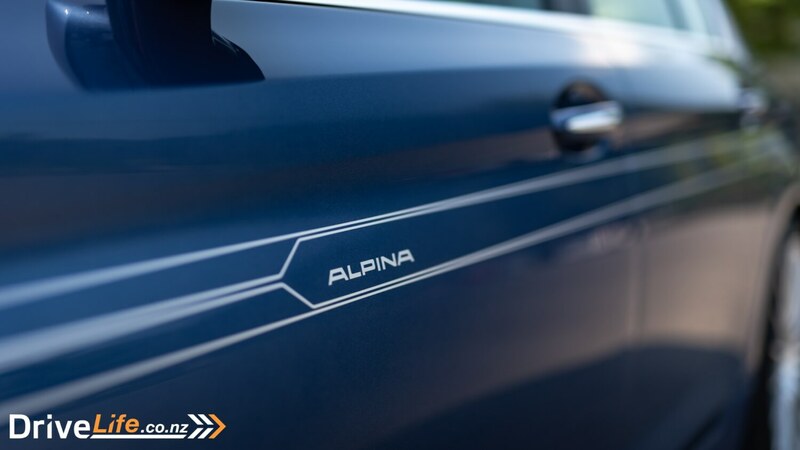 Most Alpina owners have a supercar or two in the garage but when they need to drive around in something that’ll blend in with traffic but still want the performance and exclusivity of a supercar this is their first choice. 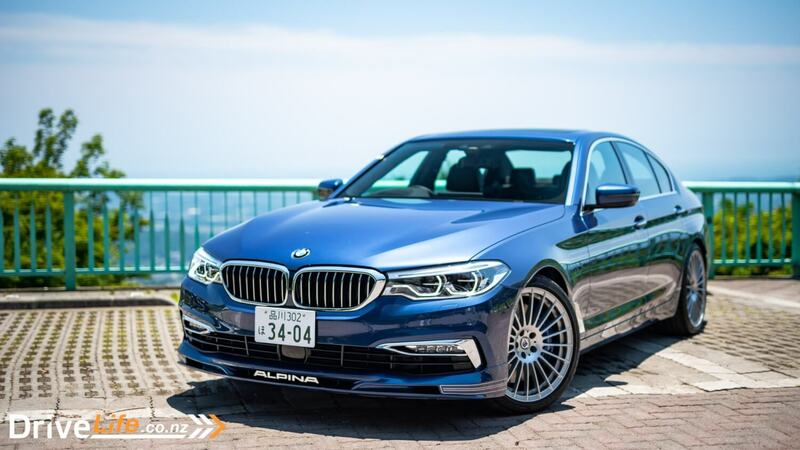 For me though, if I was in the market for a $200,000+ super sedan I’d go down the Alpina route. 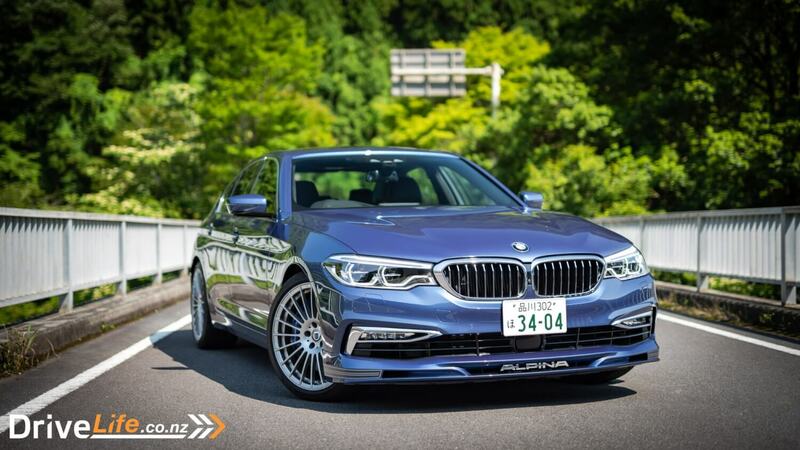 Not just because you can get one in dark green but more importantly Alpina will sell you a wagon version too. I’d argue a B5 Touring is possibly the best low-key all-rounder on the market right now. Nothing else comes close to offering the same level of performance, comfort, exclusivity, practicality, and subtlety quite like it. What’s better than a 600hp wagon no one would suspect? 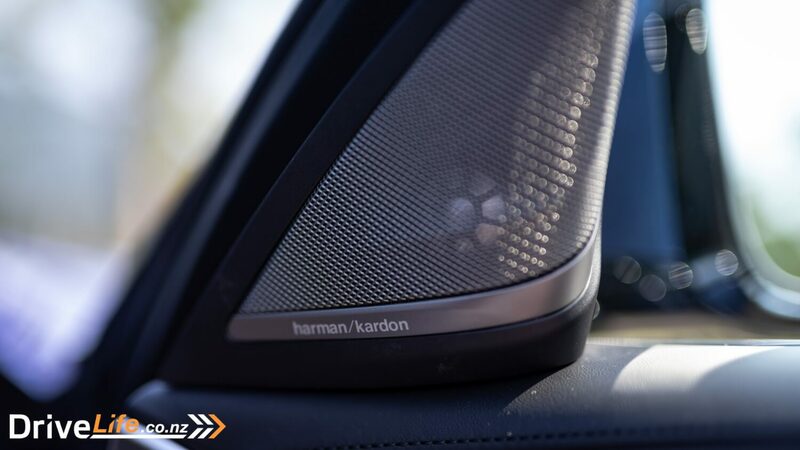 Previous article 2018 BMW M140i - Car Review - Pocket Rocket?